Lock in a great price for Trawangan Dive Resort – rated 8.8 by recent guests! The staff was very friendly and helpful. We enjoyed our holiday. We definitely recommend this hotel. Gili T is a beautiful Island, and the Dive resort is far enough from the party places, so you don't hear any music at night. The diving with them is really well oranised as you come back to the hotel between every dive, which is perfect for divers coming with their family. Loved the dive facilities at Trawangan Dive. My husband completed his Open Water certification and my children a Bubble Maker course and we loved the level of personal attention, knowledge and commitment of the instructors. So great to STAY at the property during the process and loved the hotel staff, food at the restaurant, beach across the street and great management of the property! Will go back! Trawangan dive is probably the best accommodation one can find on Gili T. Room was nice and clean (a bit darker than on the pictures), cleaned every day. Supply of soap, shampoo, conditioner and drinking water were really a nice touch. Pool bar and restaurant were great, breakfast was tasty and generous (eggs and pancakes, plus a choice of fried rice, noodles, sausages and such things). Stuff was really pleasant and helpful! Hotel has its own beach area with chairs and sunbeds where you can chill and have lunch or smoothies. Nice spot on the island, diving coaches are really nice pro and helpful. 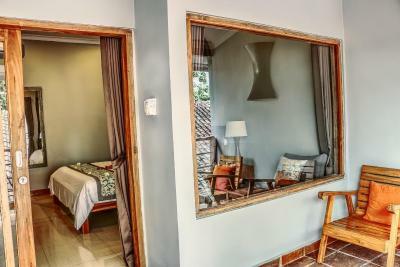 Trawangan Dive Resort This rating is a reflection of how the property compares to the industry standard when it comes to price, facilities and services available. It's based on a self-evaluation by the property. Use this rating to help choose your stay! One of our top picks in Gili Trawangan.Overlooking the white sandy beach and clear waters, this property is located on the north-east end of Gili Trawangan. 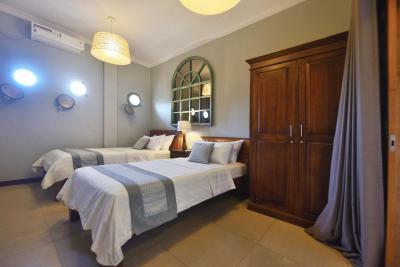 Located along the main swimming and snorkeling beach, it offers simple rooms and activities including scuba diving. 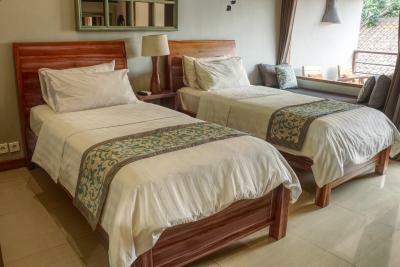 Trawangan Dove Center offers economy, standard and luxury rooms. 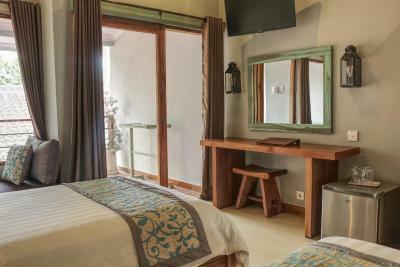 Featuring modern teak furnishings, all rooms are fitted with air conditioning, a satellite TV and a safety deposit box. 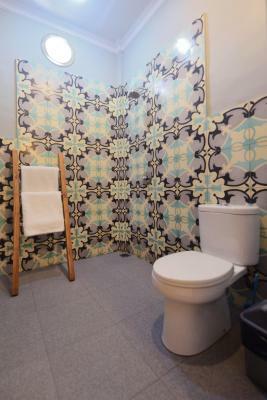 Private bathroom comes with hot fresh water shower. Guests can relax by the outdoor swimming pool or choose from activities such as scuba diving, paddle boarding, kayaking, snorkeling, horseback riding, surfing and glass bottom boat trips. Mainland excursions to Lombok can also be arranged. 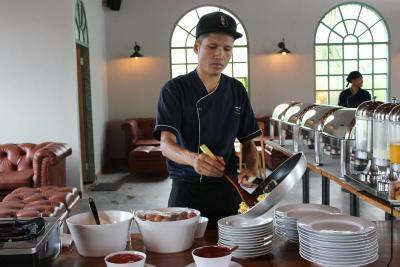 Trawangan Dove Center's restaurant serves daily buffet breakfast and a variety of local and International dishes. Guests can enjoy a range cocktails at the pool bar or by the beach. Gili Trawangan, part of the Gili Islands, is located 34 mi east of Bali, just of Lombok's northwestern coastline. It is 2 hours from Lombok Airport via land and sea transfers. The staff can arrange fast boat transfer. 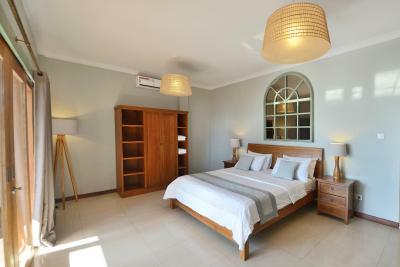 This property also has one of the top-rated locations in Gili Trawangan! Guests are happier about it compared to other properties in the area. When would you like to stay at Trawangan Dive Resort? 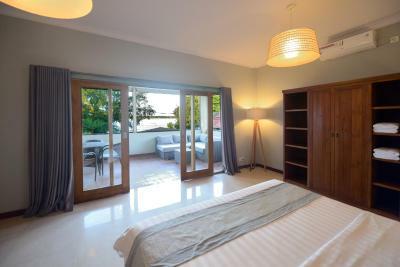 Air-conditioned room features a flat-screen TV, DVD player and mini-bar. 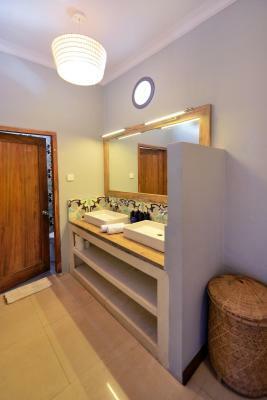 Private bathroom has hot-water shower facilities, a large gated garden and an outdoor daybed. Air-conditioned room features a flat-screen TV, DVD player and a mini-bar. 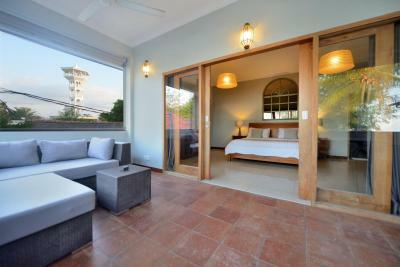 Private bathroom includes hot shower facilities, a large gated garden with an outdoor daybed. This air-conditioned double room has TV with DVD player, a fridge, and a personal safe. 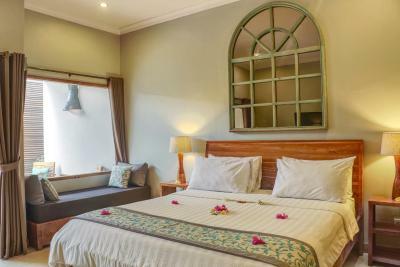 This room also comes with a private terrace or balcony, and an private bathroom with hot and cold shower facility. This air-conditioned twin room includes a TV and a personal safe. It also has a private terrace or balcony. The private bathroom comes with hot/cold shower. This air-conditioned double room has TV with DVD player, a fridge, and a personal safe. 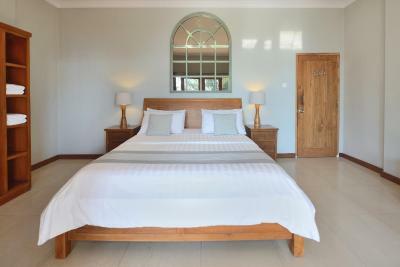 This room also comes with privately gated veranda and an private bathroom with hot and cold shower facility. It also comes with a gated garden. 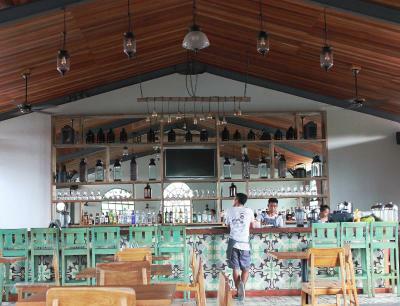 House Rules Trawangan Dive Resort takes special requests – add in the next step! All children under 2 years are charged IDR 50000 per night in a crib. 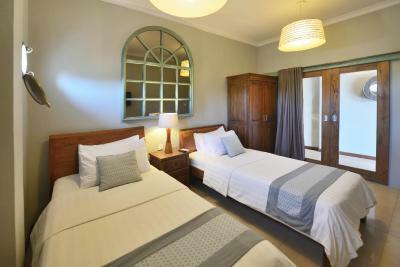 All children under 16 years are charged IDR 300000 per night for extra beds. Trawangan Dive Resort accepts these cards and reserves the right to temporarily hold an amount prior to arrival. The hotel was in a great location and restaurant is probably one of the best on the island. The staff were really helpful and friendly. Clementine helped set up an enormous piece of cake for my boyfriends birthday! This hotel is great even for people who don’t want to try diving because the pools are still useable around those practicing diving. The swim up bar is fun and the beach is right over the little road. Despite the hotel being in a busy spot you couldn’t hear any of the street noise from the rooms which was really nice especially because we had one of the courtyards which was nice to relax in. We decided to walk from the fast ferry drop off to the hotel which was a good idea because they just use horse and carts which wouldn’t really be necessary for the short walk down the road. Overall a great place to stay, would definitely go back! Perfect location, loved the room, great breakfast. Going to Gili for diving is just a must do! The hotel provides us with all the information we needed to decided to do our Padi here. Our instructor Patrick was the most amazing instructors we could have asked for! My partner had a big fear of oceans and diving, the way he managed her through the course was perfect! His personal style, attention to detail/safety, knowledge of the marina life, it was amazing!! We had a great room with a terrace, there was a extra large bed with fluffy pillows and the bathroom was large: we had the option to have clean towels and the room cleaned every day. Great location on the beach but nice and quiet at night. Vegan options at breakfast too 😃 the staff were very friendly and helpful and they had a pool bar to relax in. 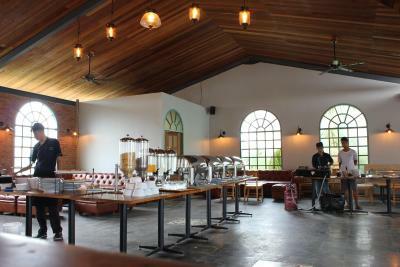 Very clean & comfortable room, very helpful & friendly personel, very good breakfast. We really liked and stayed one additional day by changing our plan. The only downside to the trip was unrelated to the hotel. The horses used for transportation seemed overworked. It was painful seeing them pulling heavy loads whilst drooling through dehydration. Breakfast was great. The rooms were clean and staff very friendly. They organized all transfers to and from the hotel at extra cost. Everything ran smoothly and efficiently. Excellent location, very clean. 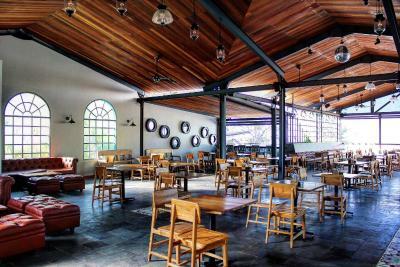 This place became our home on Trawangan. There was no hot water kettle or coffee maker in the room. Being 3 star hotel I was surprised not having these items in the room. I was told that they do not provide it in economy rooms. Upon request they did provide it. Very friendly staff. Excellent breakfast. Room was clean. No pipe at toilet especially for toilet bowl. Need to use glass for cleaning.